The gathering together of friends and family is life-giving. Magical conversations happen over hot drinks and warm food. The walls come down and souls are bared. Hours pass by as though they were mere seconds. They are people who will laugh with you. They will hold you and cry with you. When we gather together, I like to create a special treat for our guests. Beverage bars are always a huge hit. 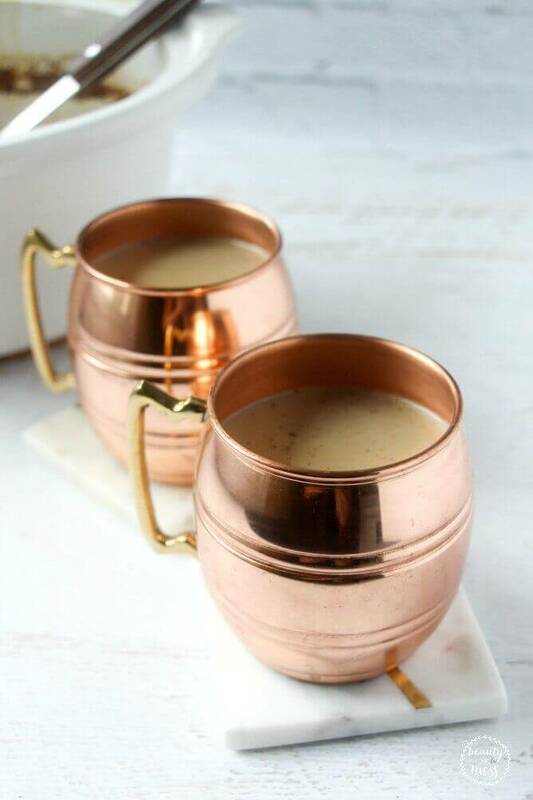 We often have different options available because not everyone likes a certain drink, but everyone tends to like something warm to hold in their hands. Boil a kettle of water as you assemble your ingredients. Place the espresso powder in the crockpot and pour in 5 cups boiling water. Stir in the pumpkin puree, creamer, and spices. Place on high heat for 45 minutes to combine, and then serve with caution (will be extremely hot). 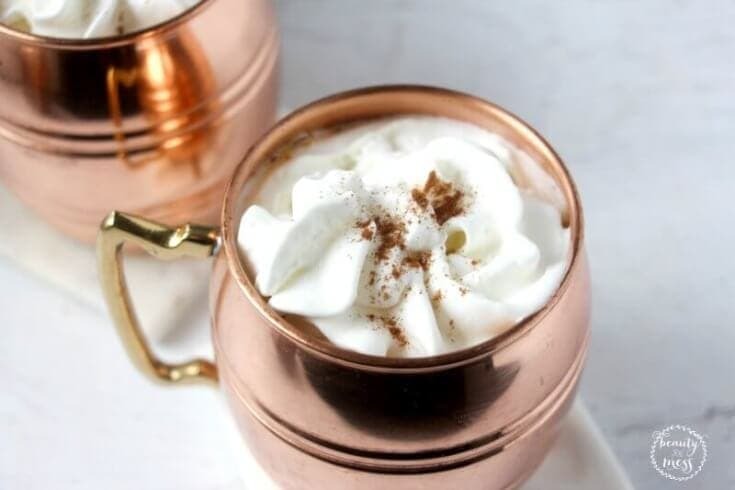 Garnish your Crockpot Pumpkin Spice Latte with whipped cream and a sprinkle of cinnamon as desired. A variety is always good. 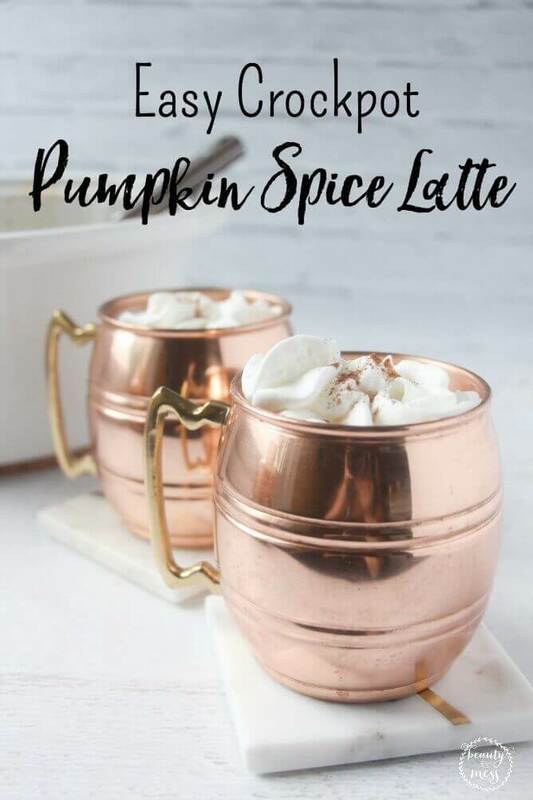 Not everyone likes Crockpot Pumpkin Spice Latte. Gasp! I know! We always provide hot water with an assortment of teas. Apple Cider for those who don’t like coffee or tea, and infused water for those who don’t want anything else. I’ll have to make this for my daughter. 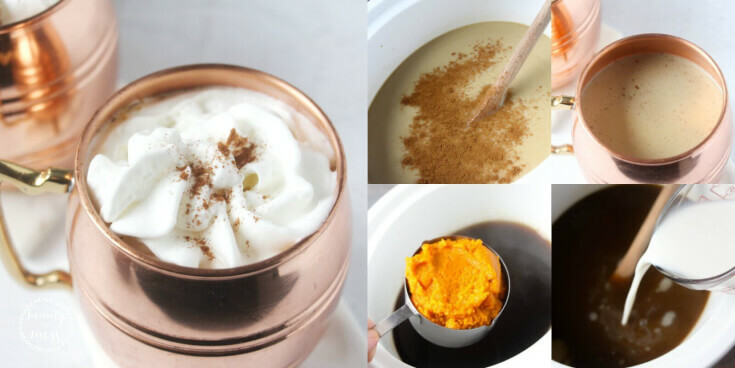 This pumpkin spice latte sounds so good, and I LOVE that it is made in the crock pot! I love my slow cooker, especially in the wintertime! 🙂 I bet this drink makes your house smell amazing as well.